These vials are available in many sizes and styles. The 10 ml are available in "accurate" fill (holds exactly 10 mls), "regular" which holds about 12 mls and "big boy" which holds about 15 mls. 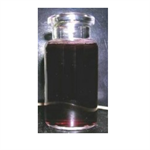 Other available sizes are 20 mls and 30 mls. Unsterile Vial, Clear - 3 ml 20 mm Neck. 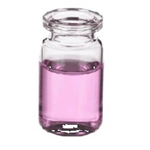 Vial Dimensions: 17 mm X 37 mm. Unsterile Vial, Amber - 5 ml 20 mm Neck. 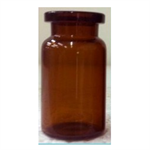 Vial Dimensions: 22 mm X 40 mm. 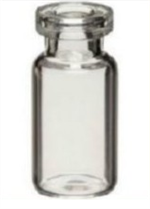 Unsterile Vial, Clear - 5 ml 20 mm Neck. 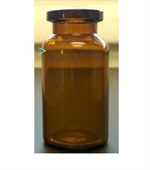 Vial Dimensions: 23 mm X 47 mm - Often referred to as "10 ml Shorties". 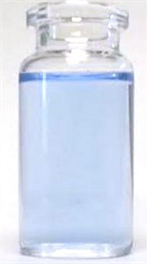 Unsterile Vial, Clear - 5 ml 20 mm Neck. Vial Dimensions: 22 mm X 40 mm. Unsterile Vial, Amber - 10 ml 20 mm Neck. Vial Dimensions: 24 mm X 50 mm. PRE-WASHED and ready for sterilization.